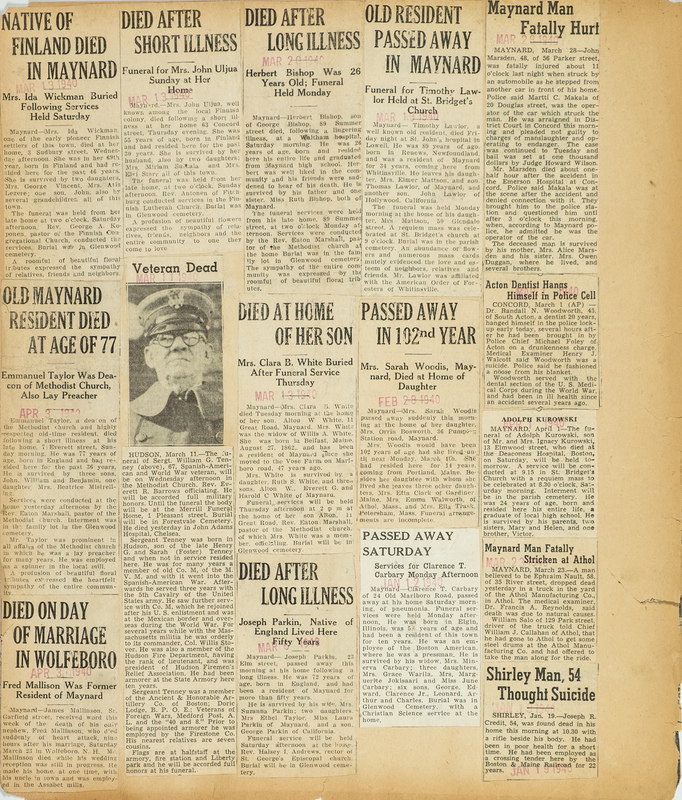 A collage of miscellaneous obituaries from 1940-1941. 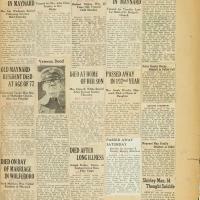 The names are of Ida Wickman, Emmanuel Taylor, Fred Mallinson, John Uljua, Sgt. 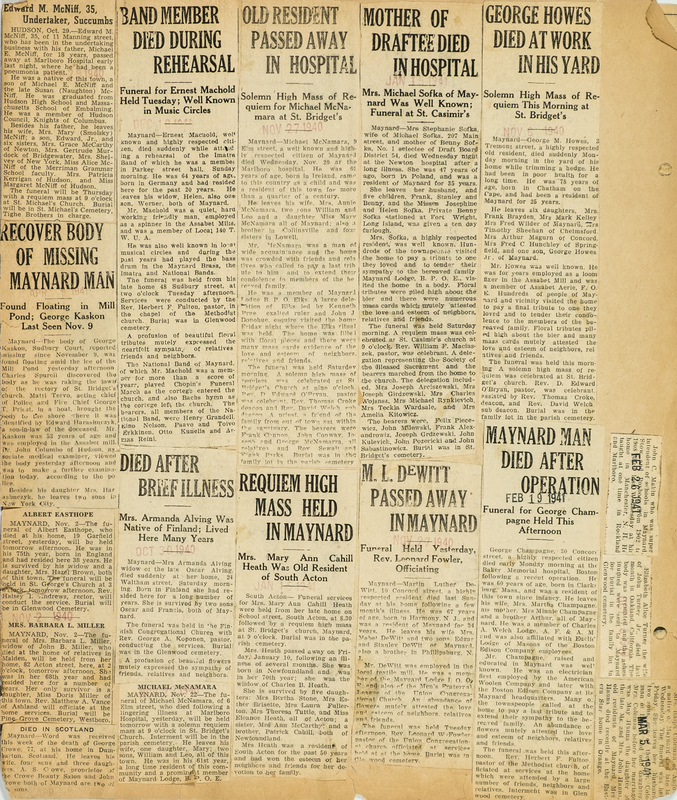 William Tenney, Herbert Bishop, Clara White, Joseph Parkin, Timothy Lawlor, Sarah Woodis, Clarence Carbary, John Marsden, Dr. Randall Woodworth, Adolph Kurowski, Ephraim Nault, Joseph Credit, Edward McNiff, George Kaskon, Albert Easthope, Barbara Miller, George Crowe, Ernest MacHold, Mrs. Armanda Alving, Michael McNamara, Mary Ann Cahill Heath, Mrs. Michael Sofka, M. L. DeWitt, George Howes, George Champagne, John Makin, Elizabeth Turner, Mrs. Ralph Coleman. 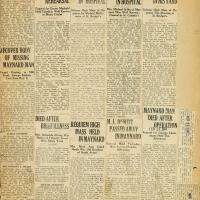 “Obituaries - 1940/1941,” Maynard Historical Society Archives, accessed April 23, 2019, http://collection.maynardhistory.org/items/show/5590.